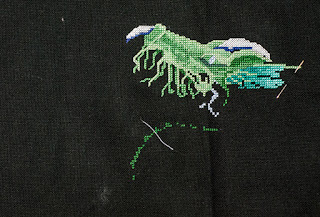 The fringe from the dragon's mouth is complete now. I'm not sure how I feel about it. Going to have to wait for more dragon to appear before making a decision.